WHAT’S all the fuss about? Everyone’s talking about the latest Mirror Pensioner magazine, sent to AMP members last month. Its 16 full-colour pages are packed with news, updates, views, interest, action, personalities, and give “a very heartening account of the AMP as a live organisation that is active on all sorts of fronts”. 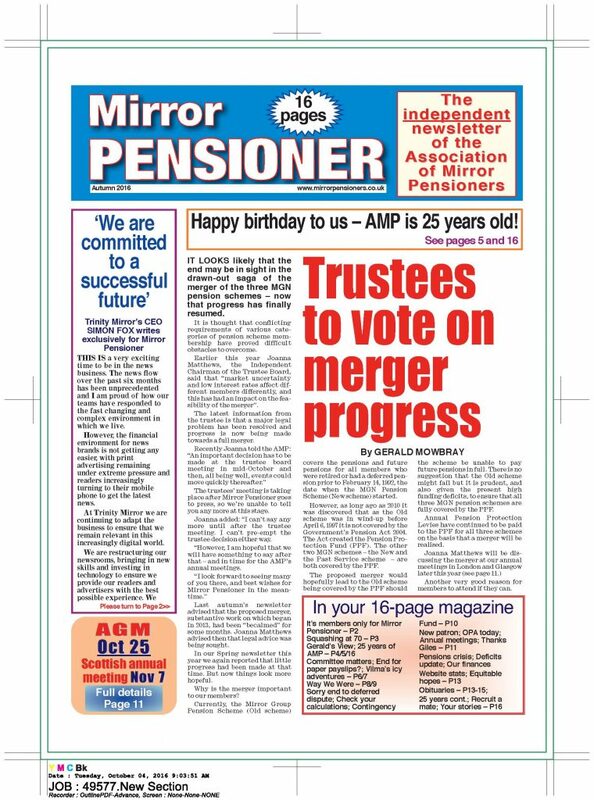 If you were expecting your copy of Mirror Pensioner this autumn and it hasn’t arrived, either you moved house and forgot to let us know, or you thought you were a member of AMP but aren’t.